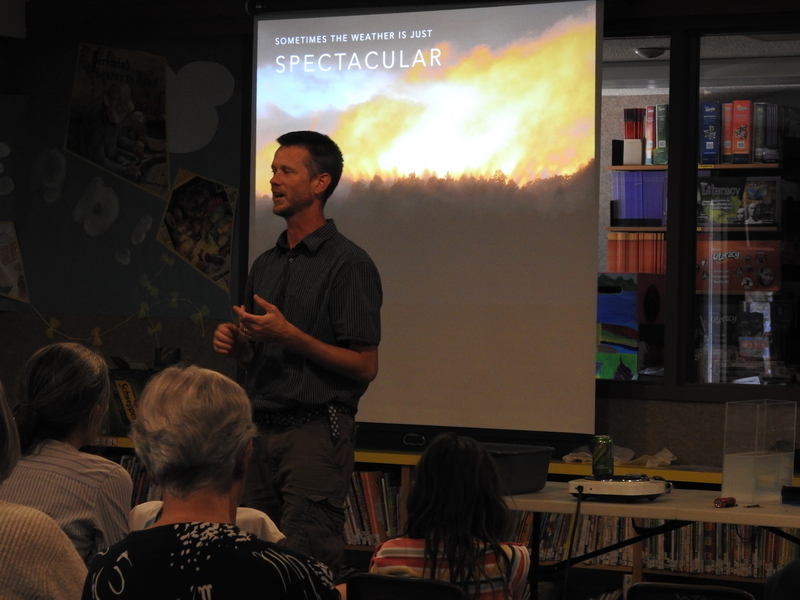 This summer the natural history centre was joined by several excellent environmental speakers. One of these was climatologist Ed Wiebe, a research associate in the School of Earth and Ocean Sciences at UVic and manager of the Vancouver Island School-Based Weather Station Network. 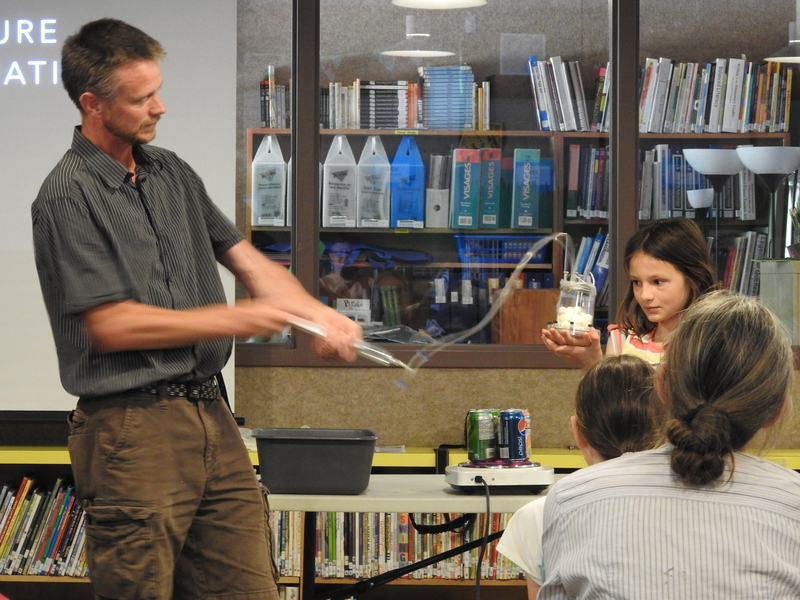 As part of his presentation on weather and climate change, Ed demonstrated several weather experiments for the crowd. 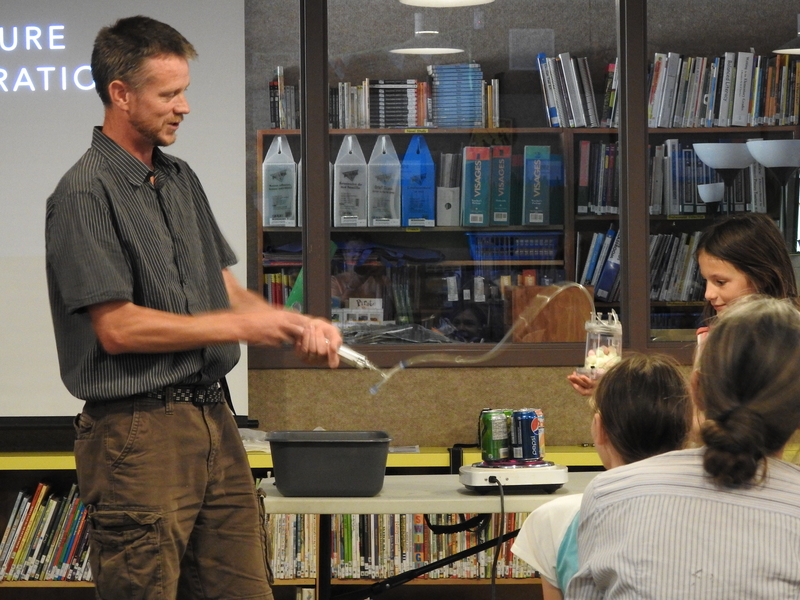 Ed’s presentation appealed to kids and he invited them to help with each demo. 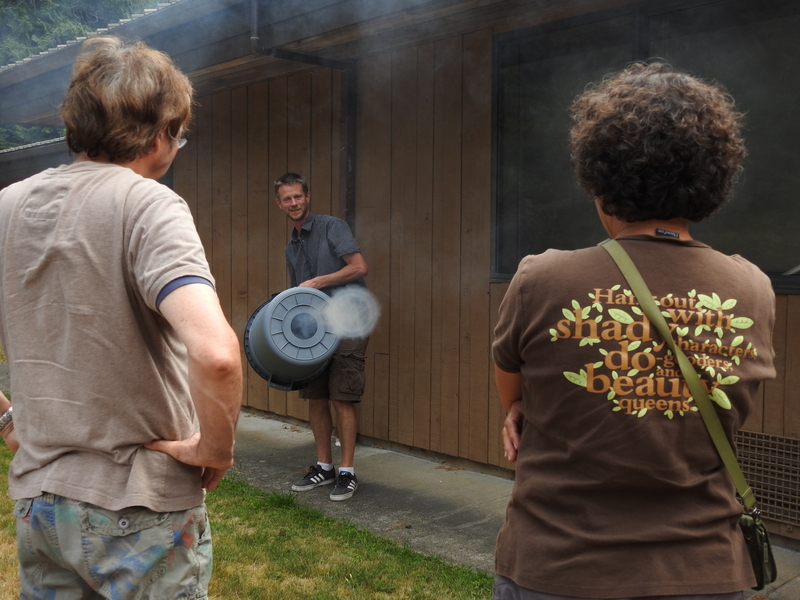 Outdoors, a garbage can demo showed how air pressure affects cloud formation. When struck, the air inside the can was pushed out along with the smoke (cloud). It formed a ring called a torus that was propelled 25 to 30 feet intact. This propelled ring occurred because the air pressure inside the ring was higher than outside and prevented it from collapsing. Back indoors, a cloud formation experiment showed how, in order to become visible, moisture needs to cling on to particles such as smoke in the air. An experiment with pop cans demonstrated the effects of differences in air pressure. Moisture/air expands when heated and contracts when cooled. Thanks Barb Biagi for capturing the presentation with these photos and videos.